As a blogger, one of the earliest requirements you have to fill for your blog is to have social sharing buttons. Even if you aren’t trying to create and maintain a presence on a social network, other people are, and they’ll be more than happy to share your content with their friends if they’re given the option. For example, you may not use Pinterest yourself, but you can benefit from people creating pins of your posts. It’s valuable enough you should be formatting the pin meta data using rich pins, and it’s valuable enough that you should consider using a plugin to allow users to pin images and posts, as well as your share buttons. The question is, what share buttons should you use? I’ve seen AddThis circulated as a major option, but we’ve covered a series of alternatives before. One of them has stood out in testing, and I’ve come down firmly on their side. As you may have guessed from the title of the post, I’m talking about Social Warfare. I believe it’s perhaps the best option for social sharing buttons on the web today, and I’m going to try to convince you of the same thing. We’re using it on our blog, and you can see the buttons right above the top image on this post. What Makes Social Warfare Unique? 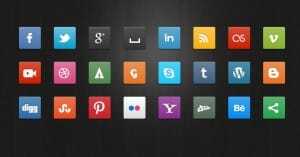 There are a thousand different social sharing button plugins, ranging from the ultra-simple code provided by the sites themselves, all the way to high end premium options like Monarch that come bundled with a bunch of extras. Why is Social Warfare a better option than any of the others? First and foremost, Social Warfare is flat out the most attractive plugin you’ve ever seen for social media buttons. At first, this might not sound like much, but it’s incredible how much design work has gone into the end result here. Each button can be skinned individually to match the aesthetic of your site, while still maintaining the look and feel of a button for the network of your choice. It can have share counts, logos, a dynamic scroll over, or just a logo alone, and it all works extremely well. Secondly, Social Warfare has Twitter and Facebook support. Twitter and Facebook recently pulled the API for their share counts, which broke thousands of social plugins. Social Warfare worked hard to bring these counts back with some creative workarounds and pull in both counts. On top of the natural attractiveness of the buttons, they can be deeply customized. Social Warfare themselves claim there are over 5,000 potential style combinations, which is a tally computed from the variations in button style, color and skin options, and design choices. I don’t care how off the wall or exotic your site design is; something in the configuration options for Social Warfare is going to fit your site design and look like it was custom-made just for you. Next, Social Warfare is extremely fast. 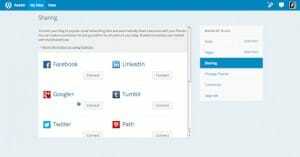 Most social media plugins are a mishmash of API calls to half a dozen or more social networks, and might even need to load graphics from those networks on top of loading the data from the API. Not so with Social Warfare. Whatever black magic they work in the code of their plugin has made it so fast you can barely tell it’s there. Go ahead, do a waterfall load scan to check your site speed; Social Warfare won’t add more than a tiny blip, unnoticeable to all but the most sensitive bots. Social Warfare also has a handful of additional features beyond just the buttons, available for you to use. Normally, you would need another plugin entirely to get these options, but they’re all bundled together with Social Warfare. You can choose to use them or not, it’s entirely up to you, but they don’t really add to the load time of the plugin or your site, and they add functionality that can help users share your posts on the social networks of their choice. What functions are these? Social Warfare includes a variation on the Pinterest Rich Pin configuration options that you can see in the link up in the intro to this post. Whenever you publish a blog post on your site, you can set a specific image and description to show up whenever someone pins your post on Pinterest. You don’t have to rely on them picking an attractive image from your post, or using some default configuration scraped by Pinterest that may or may not represent what you want the post to display. Social Warfare includes a custom tweet you can attach to each post via the Twitter share button. When the user clicks it, rather than having to use a Click to Tweet plugin or create their own tweet with just the link to your site added, you can create an entirely custom tweet for them to share with a single click. This tweet can include text of your choice, along with a link to the post with a URL shortener of your choice, and even an image you set specifically for the post if you want. One thing to note is that this is distinct from filling out Twitter Card meta data, because you can do that too. Social Warfare includes the ability to set Twitter Card meta data, much like you can set Rich Pin data for Pinterest. You can choose specific large images to work on Twitter when someone shares your link, from your buttons or otherwise, with the option to include a “via @username” tag at the end if you want or not. Social Warfare includes the standard click-to-tweet functionality you would normally need to use a dedicated click to tweet plugin to get. You can create specific pre-generated tweets and even show what they would look like in your post, and users can click to post them as-is to their timelines. Social Warfare has a popular posts widget that works like many of the “related posts” widgets, designed to help people find other content on your site that they may be interested in reading. Rather than picking the posts it shows manually, or choosing them randomly from the list of published content, or just showing other recently published content, Social Warfare sorts them by social shares. This way, your most engaging content is given extra exposure to help it reach viral status that much more easily. Social Warfare is extensible. While not open-source, it does have documentation and development hooks that allow your in-house developers to create customizations and add-ons to extend the functionality of the plugin. If you want a feature that Social Warfare doesn’t provide, you can simply hire someone to code it up for you, and it can hook right in with a minimum amount of friction. 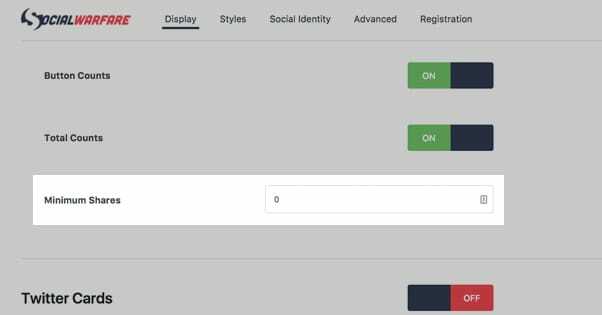 Social Warfare works with WordPress shortcodes, as well as PHP snippets, so you can add the buttons anywhere you want on your site, be it in a template file, in the content itself, or anywhere in between. Social Warfare includes a “Frame Buster” that prevents other sites from loading your content in an iframe. This is a common technique used by thin and shady affiliate sites, to create a sort of sub-window for a user to browse the web while seeing the frame site’s CTAs and advertising. Who wants their site to be seen through someone else’s ad lens? No one! Prevent it from happening just by activating that lightweight redirect feature on the plugin. Social Warfare automatically includes UTM tracking parameters with every link you share. The plugin itself doesn’t include analytics, but this quick and easy UTM customization allows you to examine your social performance in great detail via Google Analytics and any other analytics suite that is able to make use of UTM data. Perhaps most importantly, Social Warfare works. What I mean by this is their share counts, specifically, work despite the lack of API access on both Facebook and Twitter these days. Remember how Twitter removed the share count API entirely, and how Facebook limited theirs to only their official buttons? Social Warfare uses a workaround that doesn’t require the API, and thus can display share counts even when the official buttons don’t show it. This is incredibly important for social proof, and makes your buttons look uniform so you don’t have some with numbers and some without. On top of that, to further leverage social proof, you can set a minimum threshold of social counts before the number is displayed. After all, when you visit a blog post on a popular site and see that it only has half a dozen shares, you might wonder why so few people are sharing it. At that level, social proof almost works against you, making people less likely to share the post for fear of encountering the reason it wasn’t being shared by others. Even if that reason is simply “the post is brand new” it’s still a deterrent for some people. By setting a minimum share threshold, you can make sure that if social proof is appearing, it’s positive proof. Maybe your site has a permalink structure you don’t like, and you anticipate changing it in the future, or you’re in the midst of changing it now. Maybe you didn’t want to change your social sharing buttons or your permalink structure because you would lose the existing shared count for your content, making all of your old content look like it wasn’t shared at all. Social Warfare allows you to sync up your old URL with your new one, to maintain the shared count moving forward with a new URL structure. This even works if you’re going from HTTP to HTTPS, so you have no reason to sacrifice security in favor of social proof. 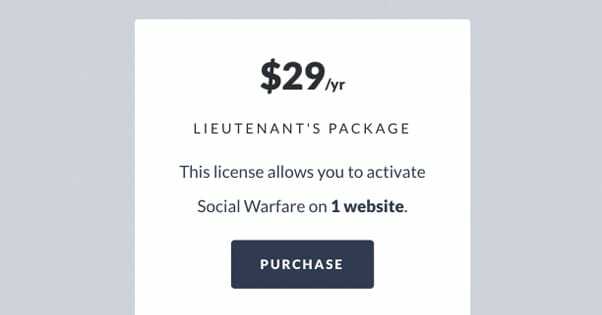 Social Warfare is in many ways a perfectly designed plugin, but it’s not without a few drawbacks. Chief among those drawbacks is the cost. All of the above features – almost, at least – can be had from free plugins. 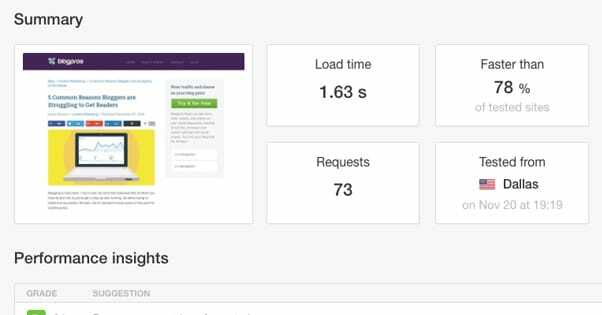 What you’re paying for is having them all together in one lightweight plugin, along with a couple of exclusive features, such as the frame buster and the share count caching. Among the other drawbacks is the Pinterest integration, which is quite robust, but overkill for sites that don’t use Pinterest and don’t have an interest in it. It’s still nice to have, but you don’t necessarily need to go through the hassle of setting up Rich Pin data for every post when you only get a dozen or so Pins for each post. The cost is the big drawback, though, so how much is it? You’re probably expecting something significant, but I’m going to alleviate those fears; it’s a lot cheaper than you might expect. If you divide up the cost into a monthly fee, you’re looking at a whopping $2.40 per month. It’s billed on an annual basis, though, so it costs you $29 per year. If you’ve read any older reviews of the plugin, you may notice that this isn’t the same price the quote elsewhere. The price has gone up as more features have been added, and I wouldn’t be surprised to see the price continue to rise over time as more graphical styles and more advanced features are added. If they ever add plugin-specific analytics, I bet it would increase even further, though I don’t know that they have any plans to add such features. Now, there are no feature limitations or caps on the plugin for buying different tiers of the service, but there is one restriction; the sites you can use it on. The cheapest plan, that $29 per year, is the license for one single site. If you run, say, five different blogs, you would need to purchase the next higher tier to get five licenses, which is $135 per year. The third and largest package is $250 per year and gives you 10 licenses. If you need more than 10, you will need to reach out to Warfare Plugins directly and ask them about bulk licenses, but at that point I’m not sure the expense is a deciding factor for you.